On 2nd January, 2014, EADS, which comprised Airbus, Eurocopter, Cassidian, and Astrium, was been rebranded as “Airbus Group”. The Airbus Group press conference must not be confused with the Airbus press conference, which was held on 13th January, 2014. But, very obviously, Airbus was discussed today. Aviation Week today reported that “Airbus Group is taking a €434 million extraordinary charge in its 2013 results for the A350 program” due to “higher than expected recurring costs for the new widebody aircraft”. 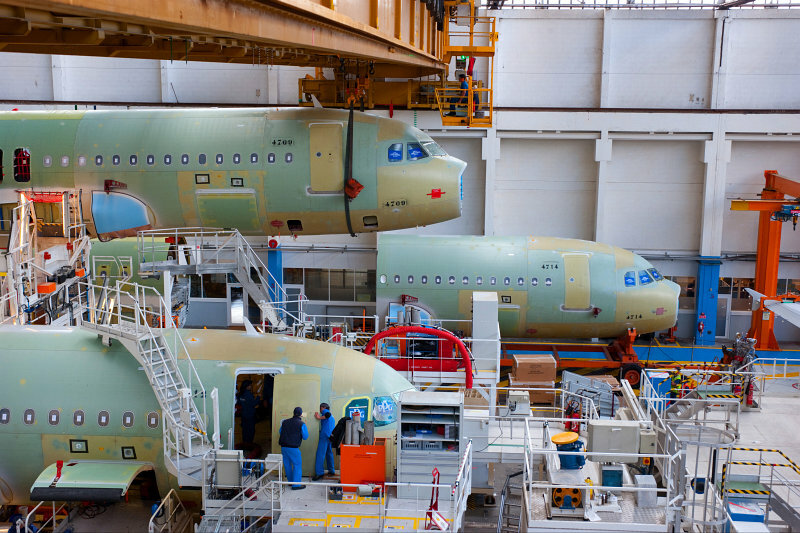 Airbus, unlike Bombardier: the only other airliner airframer to be engaged in a flight test campaign of an all-new aircraft, has ensured that the program has stuck to schedule, at any cost. And that cost, for now, is an added Euro 434M. F-WWCF is the first of two A350 flight test aircraft to be equipped with a full passenger cabin interior, and features a distinctive “Carbon” signature livery to reflect its primary construction from advanced materials. 53% of the A350 XWB’s airframe is made-up of carbon-fibre reinforced polymer (CFRP) including Airbus’ first carbon-fibre fuselage. Hence the registration, F-WW”CF”, for Carbon Fibre. MSN 2 will be the first A350 to transport passengers when it undertakes the Early Long Flights (ELF) later in the year. The “passengers” will be Airbus employees. The eye-candy A350 will do well for promotions, especially when it lands at airports outside Toulouse, and even Europe. The other aircraft to be fitted with a cabin will be MSN 5, which is in the final assembly line and is expected to fly in a few months. MSN 4 joins MSN 1 and 3, the first two airplanes to have taken to the skies, in being those three airplanes dedicated to avionics, noise testing, and various other systems work through the flight test program. These three aircraft will not be fitted with a cabin, but rather, equipped with heavy flight test installation. 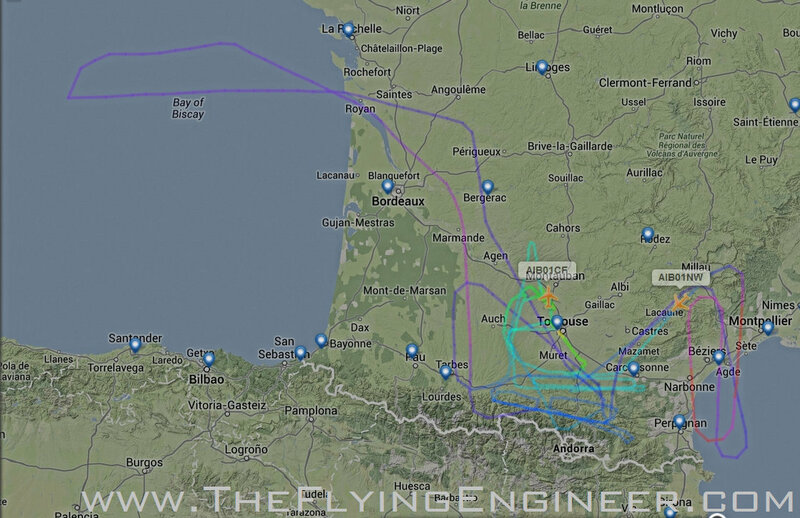 The aircraft has on its fuselage the logo of Qatar Airways, and “A350 XWB Launch Customer”.